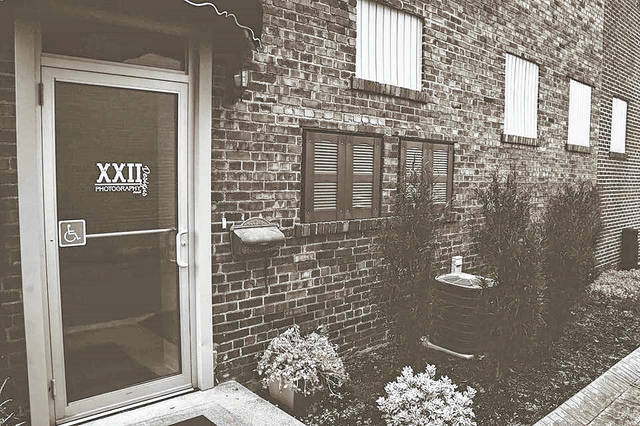 CRESTLINE — Crestline native and photographer Shelley West Clark is opening a new business in Crestline called XXII Photography and Design. Her new business, 226 N. Seltzer St., behind Carolyn’s Hair Design, is having an open house Saturday, Nov. 25 from 10 a.m. to 4 p.m.
XXII will also do spirit wear for local schools. Many of the unique designs worn at Crestline and Galion sporting events — and elsewhere — were designed by Clark. Clark has a degree in graphic design from North Central State College. She is is running the business with the assistance of her cousin, Kristi Fearn, who is her second photographer and office manager. The studio is open 10 a.m. to 8 p.m. on Tuesday and Thursday and from 9 a.m. to 3 p.m. Saturday. Other hours are appointment only at 419-566-2665. Courtesy photo XXII Photographry and Design, 226 N. Seltzer St., is open for business in Crestline. Owner Shelley West Clark is having an open house Saturday from 10 a.m. to 4 p.m.
https://www.galioninquirer.com/wp-content/uploads/sites/38/2017/11/web1_XXII-Photography.jpgCourtesy photo XXII Photographry and Design, 226 N. Seltzer St., is open for business in Crestline. Owner Shelley West Clark is having an open house Saturday from 10 a.m. to 4 p.m.